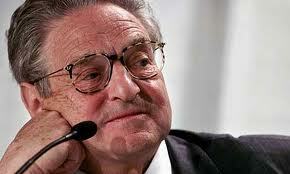 George Soros is closing his hedge fund to outside investors because of the new financial regulations. He will be returning investor’s money. Quantum, which will continue to manage about $24.5bn of Soros family money, blamed the decision on new financial regulations requiring hedge funds to register with the Securities and Exchange Commission. “An unfortunate consequence of these new circumstances is that we will no longer be able to manage assets for anyone other than a family client as defined under the regulations”, Jonathan and Robert Soros, Mr Soros’ sons and Quantum’s co-deputy chairmen, wrote in a letter to investors on Tuesday. The Dodd Frank Bill increases regulation and oversight of the sectors that had little to do with the collapse such as hedge funds, and does little to regulate the sectors that most precipitated the collapse, most notably Fannie and Freddie which the bill’s authors had most defended from the requests for oversight prior to the collapse. We seek the protection of the government, yet fail to ask who will protect us from the government.